Aircraft No. 2 (tail number 4148) was the modified configuration with 2-blade rotors. which were implemented following the crash of XV-3 (Ship 1) in late summer of 1956. 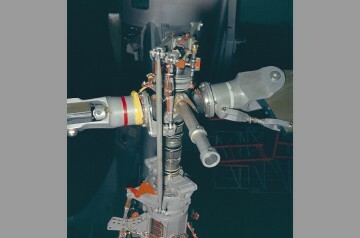 Other modifications from Ship 1 included reducing the rotor diameter to 23ft, addind stiffening to the wings thriugh struts under each wing and a stiffer control system. 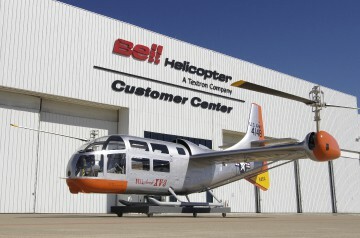 This aircraft was eventually completely restored by Bell employees and is now on display in the National Museum of the United States Air Force in Dayton Ohio. Blade airfoil section - NACA 0015. The RPM shown is for helicopter mode. The RPM in airplane mode was 324 RPM. 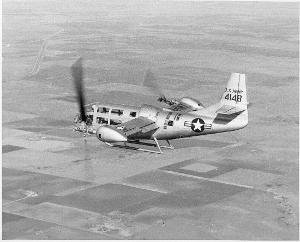 Resources related to the XV-3 (Ship 2), provided by the Vertical Flight Society. 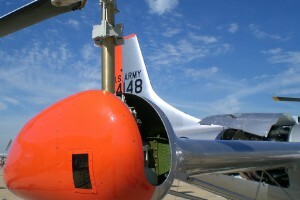 Resources related to the XV-3 (Ship 2), provided by public sources across the internet.